As it seems, you will not waste much of your time driving all the way to park outside a coffee shop to make an order that might take a better part of your precious time. It is good news to Fiat enthusiasts in Italy and elsewhere across the world where the state of the art car, the Fiat 500L brand new model, has come with one advantage over all other cars regardless of whether they are luxury or just ordinary cars. Apparently, Fiat has come up with an innovative idea of fitting an integrated espresso machine in its latest 500L model. This is a brand new coffee making machine developed in collaboration with Lavazza. This means that the 500L is the only car of its kind in the world to have the true espresso machine which uses the technology known as Modo Mio’ pods to make coffee. The machine is perfectly integrated into Fiat 500L with a deck constructed exclusively by Fiat. 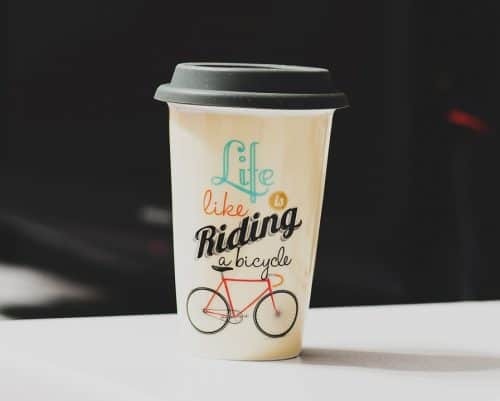 The move is aimed at giving motorists an option to enjoy their favorite drink without necessary making courtesy calls at any of the numerous coffee shops scattered all over. But how does the espresso machine work while in the car? The espresso machine is integrated perfectly into the passenger section or compartment. This position is perfect for the fact that it is free of power cables. The machine includes a set of accessories to ensure that the interior stays clean and tidy all the time. There is also a spoon holder, the pod dispenser and the container that holds sugar. Alternatively, the espresso machine can be integrated neatly and safely into the dashboard of the car for stability and safety reasons. In fact, the machine comes with its matching cups thanks to Lavazza and in the long run, roads and sidewalks will no longer be littered with paper cups as it is always the case. The espresso machine employs a simple concept. The concept involves the use of a specially designed flagon can which is safely heated and when the water at the bottom reaches a certain temperature, it is pressed to pass through the specific coffee pods. The final result is the delicious Italian coffee at the upper reservoir. Normally, the espresso machine is meant to be fast hence the name. That being said, the best espresso is determined by four Ms’; starting with the Macchina, which translates to the espresso machine. Macinazione means the proper way of grinding beans, Miscela which stands for coffee blend and roast and Mano which denotes the skilled hand of a barista. The hand of the barista gives the final touch and style of coffee and ultimately, the quality of the shot. When well combined, the four factors can yield a drink that is once bold and elegant with a floating foam creme that is light and sweet. One thing is certain when it comes to the espresso machine in the Fiat 500L. The machine is only able to work when the car is parked. In the real sense, this is a move to promote safety while driving on the road. If allowed to work when the car is in motion, the espresso machine is likely to become a number one distractor especially when one is driving and trying to reach out to a cup of coffee at the same time. That is why there has been an increase in the safety concern about the new gadgets and other features that are being added to the car. Most of the safety experts argue that drivers are getting too distracted which results in not paying attention to the road which may result in fatal accidents. The introduction of an espresso machine in the Fiat 500L has been welcomed with mixed reactions. While others are applauding the new innovation, others are raising concerns regarding the safety of the car and the driver. Whichever the case, stringent measures have been put in place to ensure that machine integrated into the car does not become a distraction by restricting its use to when the car is parked. Otherwise, Fiat 500L will go down the history books as the first brand of cars to have a functioning espresso machine for its occupants.